Speed Duel Starter Decks: Destiny Masters is a set in the Yu-Gi-Oh! 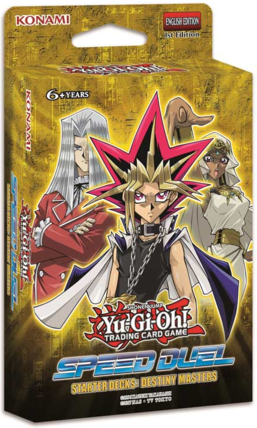 Trading Card Game (TCG). Released alongside Speed Duel Starter Decks: Duelists of Tomorrow, they introduce the Speed Duels and Skill Cards to the TCG. This page was last edited on 19 April 2019, at 13:12.